Monaco Coach Corporation was an American corporation which primarily manufactured recreational vehicles (RVs) and RV chassis. The company was headquartered in Coburg, Oregon, and maintained significant manufacturing operations in various locations in Indiana. Monaco was incorporated in 1968 as the Caribou Manufacturing Company. They began building pickup campers. The most popular line was named “Monaco”. In 1977 the name was changed to Monaco Coach Corporation. It acquired the Roadmaster Chassis Division of Chrysler Corporation in 1984 and the Holiday Rambler Division of Harley-Davidson in 1996. In 1987 Kay Toolson was appointed President. 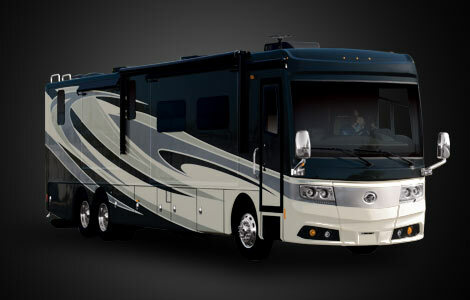 Monaco manufactured seven brands of motorhomes and RVs, including Monaco, Beaver Motorcoach Corporation, Safari Motorcoach Corporation, McKenzie, Holiday Rambler, R-Vision, and Roadmaster Chassis. In 1994 Monaco President Kay Toolson announced they would move their Junction City operations to the Coburg Industrial Park in Eugene, Oregon. On March 4, 1996, the Monaco Coach Corporation acquired from Harley-Davidson, Inc. certain assets of Holiday Rambler (the “Holiday Acquisition”) in exchange for $21.5 million in cash, 65,217 shares of Redeemable Preferred Stock (which was subsequently converted into 230,767 shares of Common Stock), and the assumption of most of the liabilities of Holiday Rambler. Concurrently, the Company acquired ten Holiday World Dealerships for $13.0 million, including a $12.0 million subordinated. Monaco Coach Corporation sold its factories, inventory, brands and intellectual property to Navistar International Corp. earlier in June for $47 million. The RV resort properties in California, Nevada, Florida and Michigan were sold to various other buyers. Once the remaining assets are liquidated under Chapter 7, “the entity ceases to exist,” and effectively spells the end of Monaco Coach Corporation, said Andrea Coles-Bjerre, an assistant law professor at the University of Oregon and a former bankruptcy lawyer in New York.